We are pleased to announce we have set a date for the 2019 Arkansas Trauma Rehabilitation Symposium for May 2nd and 3rd, 2019. Mark your calendars! We are moving back to Central Arkansas. This year’s symposium will be held at Wyndham Riverfront in North Little Rock, Arkansas. Our goal for this event is to unite bright minds and empower healthcare providers to improve outcomes of traumatic survivors in an environment that fosters learning, inspiration, and wonder. It is essential for all professionals to stay informed of recent advances in medicine and technology, and this symposium will provide a platform to do so, with interesting and informative topics and speakers. Click here to register now on Eventbrite! Accommodations cannot be guaranteed after this cut-off date. For CE information or any other questions please email awatson@uams.edu or call (501) 413-5649. Be sure to visit this page as we will update it as more information becomes available. 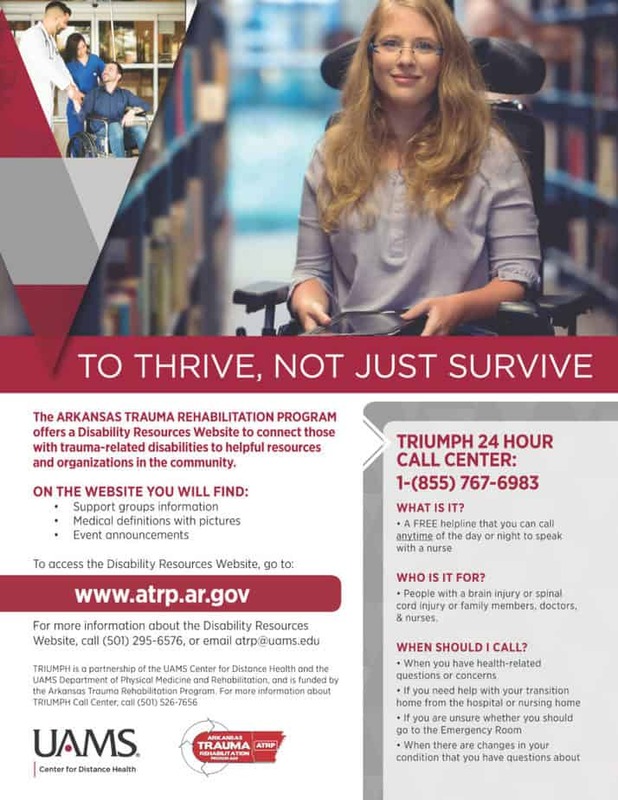 If you need assistance, please call 501-295-6576 or email ATRP@uams.edu.